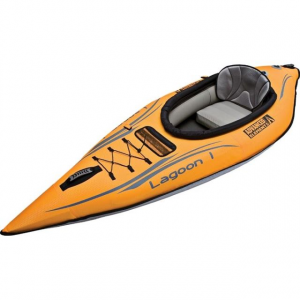 This 13-foot folding kayak has a combination of metal frame and inflatable support. It's light to carry and it's sporty to paddle. Easy to transport by bus or small car or carrying, the AirFusion is an environmentally-sensible choice. The tough construction lasts for years of use. I've tried most of the different kayak models made by Advanced Elements, and other brands as well. The AirFusion is a particular treat to paddle! 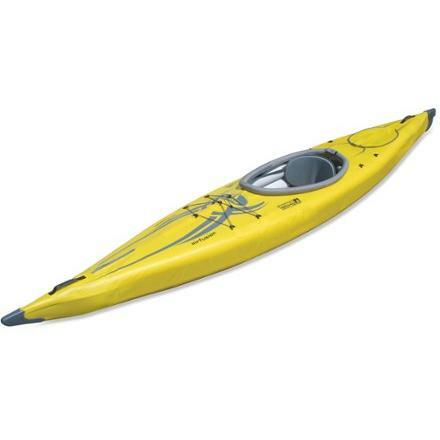 It's excellent for recreational paddling on flat water and day trips. I like the rounded hull, which feels very responsive when I shift my weight. At 13 feet long, this kayak is long enough to have some glide for efficient paddling, but short enough to turn quickly. I enjoy paddling it on ocean bays, and "surfing" it a little on gentle swells and waves. 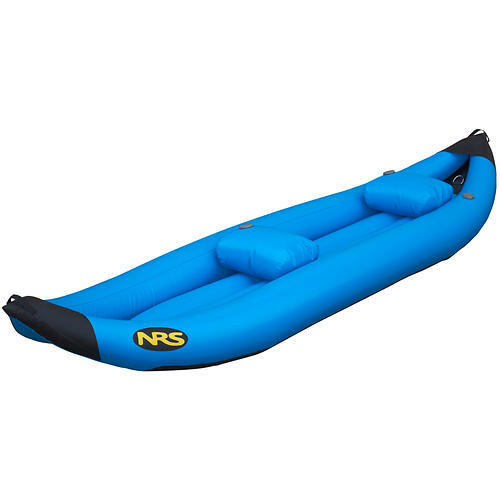 I've talked with people who use AirFusions for river paddling and river camping on Class One rapids. Others paddle in waves and surf. 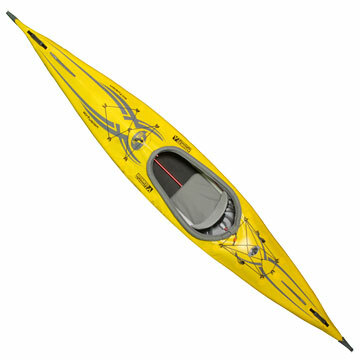 Check out the community forum on http://advancedelements.com for discussion of how people are using this model of kayak. The AirFusion and AirFusion Elite are similar models. These are folding kayaks, with metal parts that fit together to make a frame, with some inflatable sections. The outer hull is a combination of tough PVC. The kayak folds up to fit inside a carrying bag which can be carried easily, or transported on buses (both a transit bus or a Greyhound) and airplanes (as checked baggage), or tucked inside a car trunk (even a SmartCar FourTwo!). I'm a small, stocky woman who transports this kind of kayak by strapping the carrying bag to a folding luggage roller and then walking a mile or so to water or to a bus stop. I particularly like using kayaks that are not too big and heavy for me to handle! 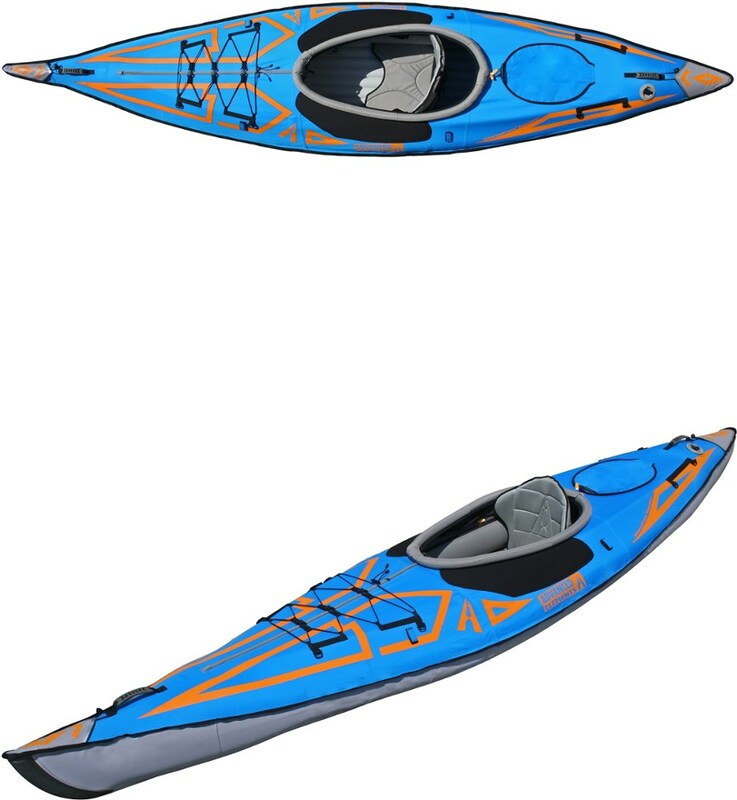 The size of the AirFusion makes this kayak a great choice for teenaged paddlers and people of moderate size. The biggest person I've known to paddle this model was 6'4" tall. Most of the other models from Advanced Elements are flat-bottomed and stable. The AirFusion has a rounded hull with soft chine, and responds to every movement of a confident paddler. If you think you know all about inflatable kayaks, try the AirFusion for a totally different ride that can be fun and exciting. 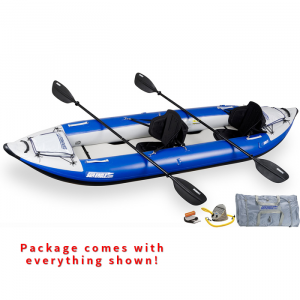 Advanced Elements makes tough, lasting folding kayaks that are well-constructed and durable. I have a different model that is over 8 years old and still holding up after a lot of use. The website has a community discussion forum that is amazingly useful, and the company answers questions and solves problems. Thanks for the info, Paula. From whom did you borrow this kayak? Hi Alicia! I borrowed the AirFusion at three paddling festivals, twice from kayaking stores and once from a friend of a friend. Paddlefests are a great way to try different shapes/styles of kayak to see how they handle. Thanks for that further info, Paula. The Advanced Elements AirFusion Elite is not available from the stores we monitor. It was last seen October 19, 2018	at Outdoorplay.